Small pigment patches on the face are a result of pigment cell collections in the deeper layers of epidermis. As they are superficial they can be easily improved by laser treatment. 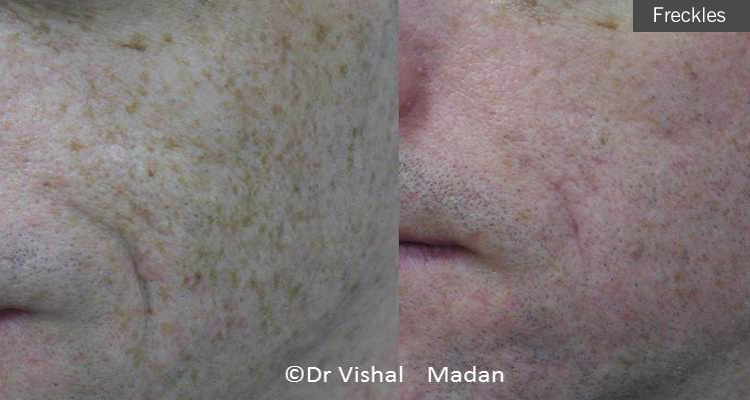 QS Lasers, Fraxel, chemical peels can all improve the appearance of freckles and lentigos.